Thanks to a West Coast whiskey associate, I was able to obtain this sample of Wild Turkey Beyond Duplication, more specifically, a 1989 export bottle (gold foil top, no tax strip). One of the best things about the whiskey enthusiast hobby is sharing. And sharing old, dusty Wild Turkey … well, that’s priceless. Brief history lesson: Beyond Duplication was the first of several 12-year special releases by Austin Nichols/Wild Turkey, beginning in the early 1980’s. Sometime in the mid-80’s, Beyond Duplication was replaced with the now famous and highly sought-after “Cheesy Gold Foil” 12-year label. A few years down the road in the mid-90’s, CGF was eventually replaced by the “Split Label” 12-year, which would be the last of the special 12-year releases in the United States. The export market, however, was different. Beyond Duplication continued to be issued in foreign countries while CGF was in regular U.S. distribution, and CGF continued to be released overseas as the “Split Label” was in domestic production. Additionally, the export market had the privilege of seeing 12-year Wild Turkey 101 releases all the way up until the early 2010’s. 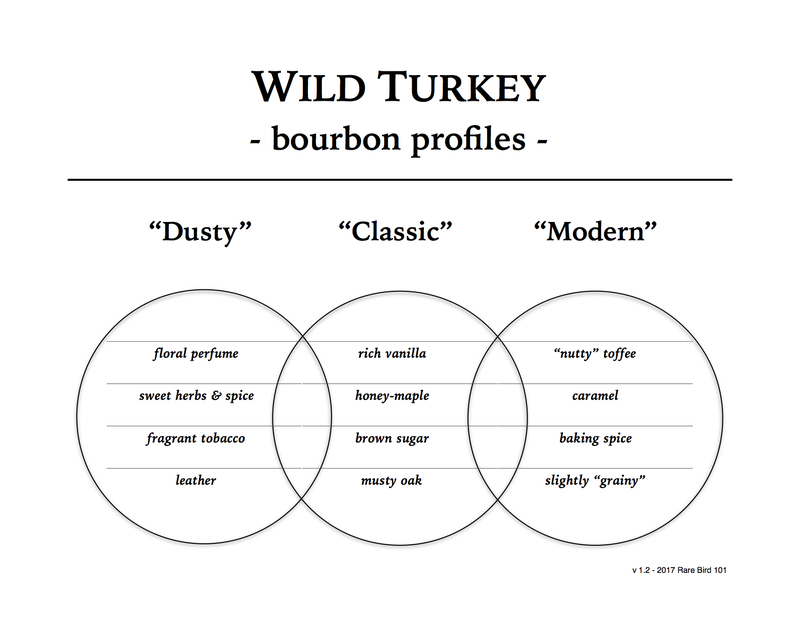 It can become rather confusing, but the important thing to know is this: Any 12-year Wild Turkey 101 released in any market from the early 1980’s to the late 2000’s is a top-quality pour – period. Some are better than others (the general rule is the earlier the release, the better). But again – all are top-quality pours. Overall: Well, it really doesn’t get much better than this – fantastically tasty, complicated, and balanced. I’m sure there are a few other American whiskeys out there that could rise to the challenge, but the list is most definitely short. As for how export Wild Turkey Beyond Duplication 12-year compares to the legendary Wild Turkey “Cheesy Gold Foil” 12-year – well, they’re almost indistinguishable in profile. In fact, I believe the late 1980’s export Beyond Duplication is the same exact same bourbon as the late 1980’s American CGF – it’s just two different labels. I don’t have hard evidence for this, but I honestly don’t see why Wild Turkey would have two entirely different stocks of 12-year KSBW bottled within the same timeframe.